Axumin is an FDA-approved, Medicare-covered scan that can achieve early detection of recurrent prostate cancer after surgery or radiation. For years we have been able to detect prostate cancer recurrences with PSA, but standard body and bone scans have been unable to determine the location of the cancer until the PSA level is excessively elevated (10 to 30 or higher). Axumin can detect recurrent disease with PSA levels less than 10 and sometimes much lower, which is the reason this scan is such an important development. Why Is Axumin So Important? Being able to detect early metastatic disease with a scan offers two important therapeutic advantages. First, the knowledge of where the cancer is located can help guide effective therapy to that specific area of the body and limit damage to other areas of the body. The scan detects where the cancer is not present and where treatment is not needed. The second valuable contribution that an accurate scan offers is a deeper insight into the disease process itself—revealing whether or not the cancer has metastasized, and if it has metastasized, to what degree. Recurrent cancer signaled by a rising PSA is not always due to metastases. Sometimes the cancer remains near or in where the prostate used to be, so PSA is coming from cancer recurring in the prostate gland after radiation or in the prostate fossa after surgery (the fossa is the area of the body where the prostate was located prior to surgical removal), which is known as a "local recurrence." PSA can also be elevated due to growing cancer that has metastasized to the lymph nodes or bones. This is called a “systemic recurrence.” Systemic recurrences are tremendously more dangerous than local recurrences. Why? A metastasis shows that the cancer has the biologic capacity to spread around the body—a process that ultimately leads to death in more than half of prostate cancer patients. Thus, knowing the location of the recurrence answers an extremely important question: whether the recurrent disease is aggressive enough to metastasize. As we have said, the capacity for cancer to spread is what makes the cancer truly dangerous. This knowledge frees the physician to implement a much more aggressive medical treatment protocol without reservations related to the fear of over-treating. If the recurrent disease is localized to the prostate or prostate fossa, such an aggressive treatment approach would be unwarranted and unnecessarily toxic. Aggressive treatments can be associated with serious side effects. However, the type of aggressive treatments I am talking about are medications that circulate in the blood and have an anticancer effect in the whole body, of which chemotherapy with Taxotere or hormonal therapy with Lupron and Casodex are good examples. Standard bone scans use calcium-related radioactive substances that concentrate in areas of the bone irritated by the cancer. The Axumin PET scan works by detecting the metabolic activity of the cancer itself. Axumin exploits the fact that prostate cancers absorb amino acids at a much more rapid pace than normal cells. Axumin consists of a radioactive tracer linked to an amino acid. Since the cancer cells absorb the amino acids more avidly than normal cells, the radiation concentrates inside the tumor cells. When the patient is placed under a scanner the location of high areas of radiation signal the location of the cancer in the patient’s body. How Is the New Information Provided by Axumin Utilized? The Axumin scan is approved for men who have developed a rising PSA after previous radiation or surgery. Historically, simple bone scans and CAT scans required PSA levels in the 10 to 50 range before enough cancer would be present to be detected on a scan. The beauty of the Axumin PET scan is that it offers the possibility of detecting small metastatic lesions in the lymph nodes with PSA levels in the 1 to 10 range. The other potential application of the Axumin scan, apart from its usefulness for determining the area of PSA relapse, is for men who have undergone chemo-hormonal treatment for advanced metastatic disease. After treatment, men may achieve a sharp reduction in PSA—perhaps from the 100s down to 10 or less. The Axumin scan can potentially single out an area of cancer in the body that is manifesting persistent metabolic activity, a sign that the cancer cells remain viable despite recent treatment with Lupron and Taxotere. If a relatively limited number of areas of persistent metabolic activity are detected, it is possible that such patients could benefit from spot radiation or other forms of treatment directed at the residual disease. Future Uses: Even though the scan has only first been approved for use in the setting of a PSA relapse, other applications are likely to be utilized in the future. The foremost would be for staging men who are newly diagnosed with Gleason scores of 8 or higher or in men with elevated PSA levels above 20. Detecting early metastatic disease in the lymph nodes in newly-diagnosed men is a high priority. Patients who have metastatic disease detected have higher cure rates if they receive aggressive therapy with Taxotere and Lupron. Patients who are free of such metastasis can forego aggressive treatment and limit their side effects without reducing their cure rates. Interpreting the Scans: Interpretation of these new scans is going to involve a learning curve for the doctors who read the scans. This is the case with any new technology. It is also important for patients to realize that the type of technology for performing those scans—i.e., the scanners themselves—will vary from practice to practice. Some practices have older technology and the capacity to detect small metastatic sites will be less efficient. Realizing these limiting factors, it will be important for patients to identify centers that are using state-of-the-art equipment and have experienced physicians who are doing a larger number of scans. These centers of excellence are likely more knowledgeable to read these scans properly. Working Hand-in-Hand With Other Technologies: Another reason why Axumin is an important breakthrough is that it helps doctors exploit the full capabilities of Intensity Modulated Radiation Therapy (IMRT). IMRT is an extremely precise type of radiation technology that can target many areas of the body that were previously inaccessible to radiation. IMRT is so accurate that doctors can aim the radiation beam with millimeter accuracy and completely avoid damage to closely approximated sensitive structures such as intestines, for example, in patients with lymph node disease in the abdomen. One of the reasons Axumin PET scanning is so exciting is because it actually makes another existing technology, IMRT, even more useful. The advent of improved cancer scanning with Axumin increases hope that other new types of scanning breakthroughs will be coming in the near future. For example, other types of PET scans, one in particular called PSMA, targets a specific molecule that is commonly present on the surface of prostate cancer cells. The potential advantage of PSMA extends beyond its usefulness for imaging; it has a potential therapeutic application as well. PSMA ligands can be linked to more powerful radioactive substances that are strong enough to kill the cancer cells. 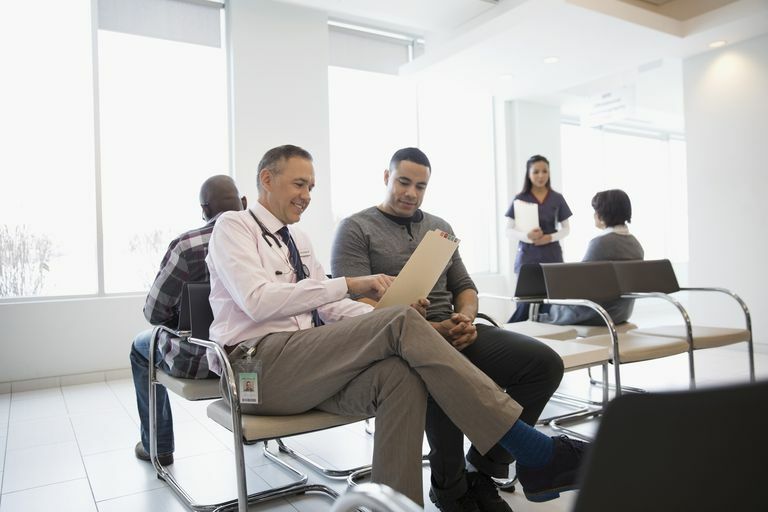 The prostate cancer community eagerly waited for scans to identify prostate cancer’s location in the body with the type of accuracy that these PET scans can achieve. These scans represent a remarkable breakthrough. Now that the FDA has approved this technology, insurance companies start exploring ways to offer coverage. Medicare was the first insurance company to cover it. What Are the Previous Breakthroughs? Why Are Breakthroughs Occurring More Frequently? The reason for the acceleration in the frequency of breakthroughs is the culmination of extensive basic research leading to a deeper understanding of cellular biology of prostate cancer. More specifically, the specific genetic mutations that cause uncontrolled cellular growth have been elucidated. Mutated genes are what makes cancer cells different from normal cells. Now that these mutations can be identified, new medications can be designed to compensate for the abnormally functioning genes. Think of how a software patch might be written by a computer programmer to fix a computer glitch. In prior years, before our arrival at our present-day understanding of cell biology, new medicines were the result of an arduous, trial and error developmental process. A randomly selected chemical would be administered to cancer cells growing in Petri dishes. If the chemical caused the cancer cells to die, it would be administered to animals with cancer. If the cancer regressed and the animal lived, it would be tested in humans. Successful human trials would then lead to FDA approval and the commercial availability of a new treatment. Unlike the rationally-designed medications of recent times, the way that these medications discovered by trial and error function was often unknown. Where Is the Prostate Cancer? What Do You Do if It Spreads?